While Malaysia will be celebrating 60 years of Merdeka on August 31st, an illustrious name from the motorcycle world will also be celebrating its 60th anniversary, the Harley-Davidson Sportster. 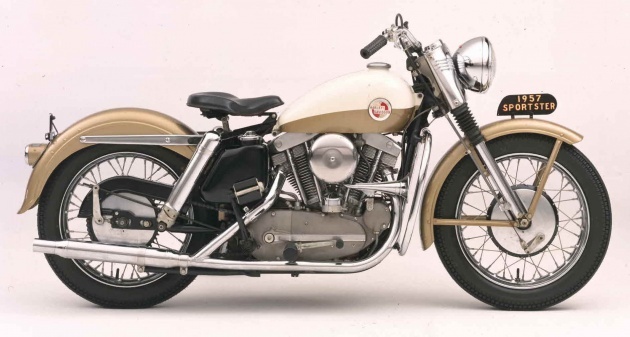 The very first Sportster was born in 1957, derived from a K-model Harley-Davidson in response to competition from British bikes such as Triumph, BSA and Norton. Given the designation XL, the Sportster immediately found a home among riders who wanted a stripped down machine with lots of torque to compete in flat track racing. The racing version of the Sportster was designated the XR, and went on to find fame in the dirt at the hands of riders such as Cal Rayborn, Jay Springsteen, Ricky Graham, Kevin Atherton and nine-time champion Scott Parker. By the mid-80s, the Sportster evolved into the form which we know it as today – the 883, with at first the 1100, then replaced within two years by a 1,200 cc V-twin, followed by five-speed gearboxes in 1991. 2004 saw the Sportster get a redesigned frame and fuel injection made its advent in 2007. In the 2010s, there were four Sportster models on offer, the XL883N Iron, which became the entry model in the Sportster series, and the stripped down and bobbed XL1200X Forty-Eight, accompanied two years later by the XL1000V Seventy-Two chopper and the XL12000C in a laid-back custom style. In 2016 the XL883 Iron – which paultan.org reviewed last year – and Forty-Eight were brought up-to-date with the introduction of ABS and keyless start, along with revised suspension. For 2017, Harley-Davidson will be introducing the 2017 XL1200CX Roadster with 43mm upside-down forks, premium shocks and powerful front brakes. In the meantime, here’s a gallery of the sixty-year evolution of the Harley-Davidson Sportster, from 1957 to 2017. The next thing that Harley should do is to re-introduce that Café Racer (XLCR) version back!